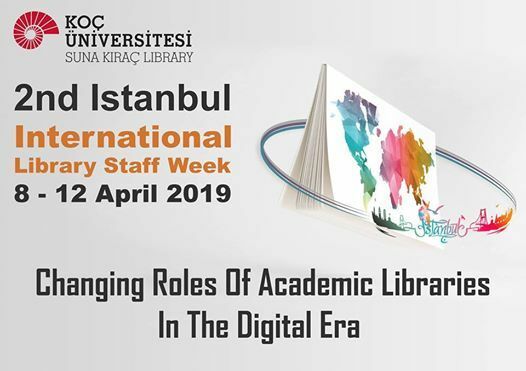 Koç University Libraries ( https://library.ku.edu.tr/) happily invite you to their second "International Library Staff" week, which will be held in Istanbul from 08-12 April 2019. 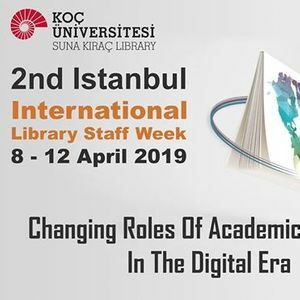 Koç University Libraries, with its main library and its branches in 3 different cities in Turkey are motivated to provide a dynamic and engaging program for library colleagues from all around the world. Through this week library staff and visitors will have the chance to engage into fruitful discussions and exchange of professional and personal experiences, which will broaden their perspective on issues related to Information Science, strengthen their skills and hopefully plant the roots for future collaboration on joint projects.